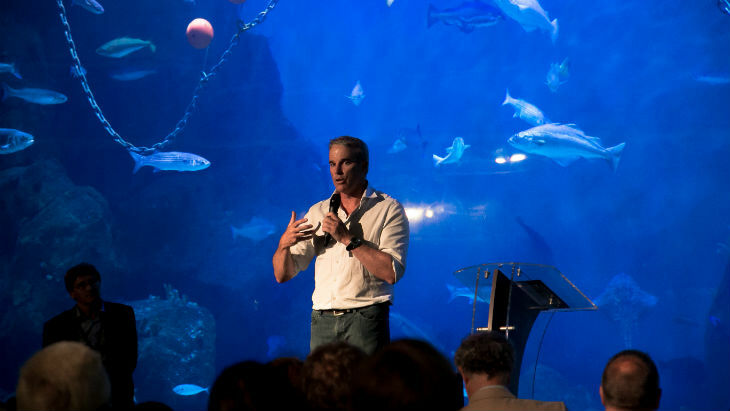 Last week we were very please to welcome UN Ocean Ambassador and sea swimmer Lewis Pugh to the National Marine Aquarium during his Long Swim across the length of the English Channel. Starting at Land’s End on the 12th of July, Lewis reached his home city of Plymouth (Britain’s Ocean City) last weekend where he joined us and many others for reception at the NMA. 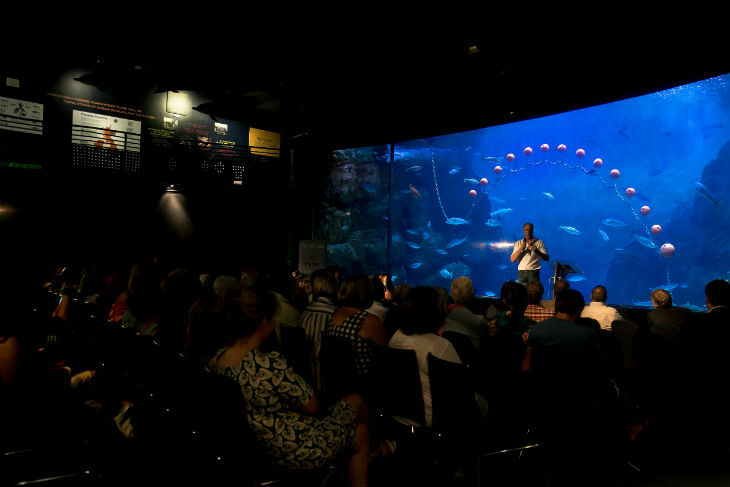 The reception, introduced by our CEO Roger Maslin, showcased Lewis as he shared memories of swimming around the world’s oceans. We were lucky to hear his rousing and inspiration speech on the benefits, science and development of a national marine park at the heart of Britain’s Ocean city. Lewis’ visit to Plymouth also saw his support for the reusable One Plymouth Cup in helping the city reduce single-use plastic cups and bottles. The Long Swim is part of a worldwide campaign called ‘Action for Oceans,’ an initiative that is calling on governments to fully protect at least 30% of the world’s Oceans by 2030. 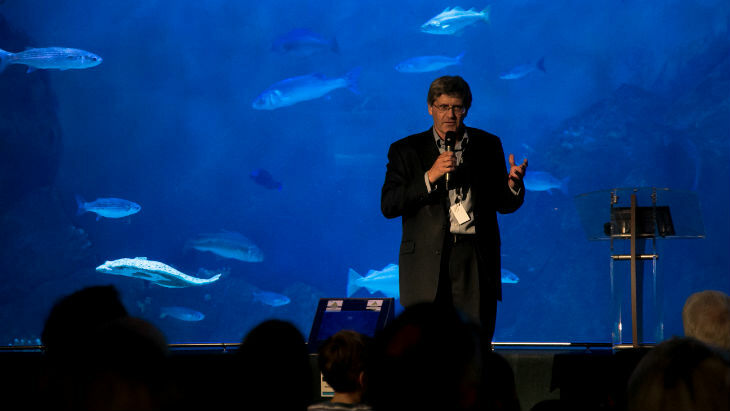 While he was in Plymouth, Lewis shared this thoughts on how important engagement and education is when helping the oceans: “Everything starts with education. We have to educate all water users about the health of our Ocean. It’s now a race against time… not just to stop the damage, but to restore the health of our Oceans. Plymouth is perfectly suited to lead the way. This admirable swim has come at a perfect time with Plymouth having recently achieved Plastic Free Communities status for its historic waterfront, with over 70 business pioneers and 50 community ambassadors in Plymouth including local businesses, schools, and community groups supported by the city’s bid by pledging to reduce the amount of single use plastics consumed. Lewis has previously swum in some of the world’s coldest and most hostile waters, including North Sea and Antarctic waters. In order to stay on course in good time, Lewis has to swim 10 km a day on his open water channel. Here at the NMA, we’re wishing him all the best for the next stretch of his Long Swim!